Hot Tub Accessories - What’s Essential and What’s Optional? Hot Tub Accessories-What’s Essential and What’s Optional? Plus 3 Health-Targeted Accessories! Nothing is more refreshing than soaking in your hot tub after a long day of stress and hard work. 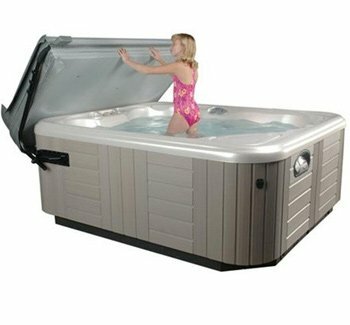 Having an at-home hot tub provides quick and foolproof relaxation without the hassle of travelling to spas. Hot tubs are also great for spending time with your family. Moreover, this luxurious home commodity can also be a great party accessory. Inviting your family and friends over a pool party, plus hot tub session can be fun. However, despite the fun and relaxation it provides, maintaining a hot tub is essential. Adding convenient accessories fit for your hot tub is definitely what you need. 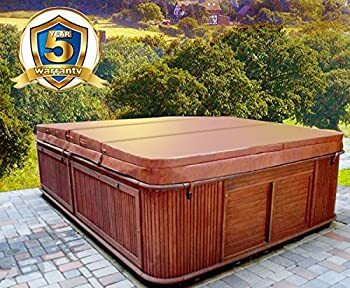 To have the best hot tub experience at home, here are the top must-have accessories for hot tubs. Hot tub accessories can range from functional to gimmicky. 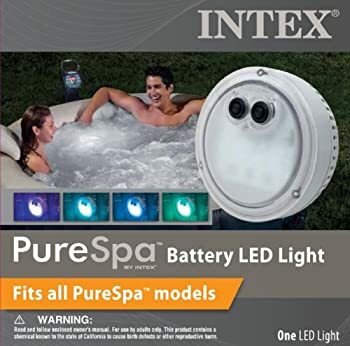 Purchasing accessories for your hot tub can be overwhelming. To help you sort out what you need and what you want, here are the essential hot tub accessories. Protect your hot tub from various elements with a sturdy hot tub cover. 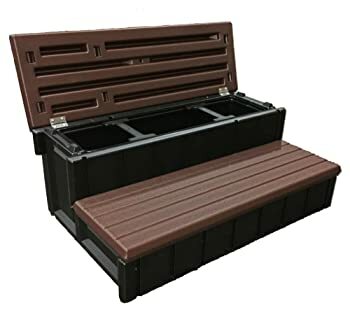 If your hot tub is surrounded with plants, leaves, trees, and other debris, then this is for you. 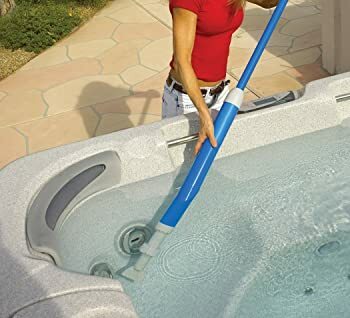 With hot tub covers, you don’t have to scoop out various debris floating in your tub. In addition, it helps keep the water hot despite the cold wind outdoors. During winter, the cover’s thick foam and weatherproof materials keep out the snow. If your hot tub’s filter has been damaged or not functioning properly, buy a trusted universal hot tub filter. These universal filters come in different sizes and brands that can fit perfectly to your current model. Rather than replacing your entire hot tub kit, opt for high-quality filters to save money. When it comes to cleaning your hot tubs, there are various options in the market. You can choose between chemical cleaners and eco-friendly cleaners. Most swimming pools and bathtub cleaners can work with hot tubs. However, there are specialized cleaners formulated for hot tubs that don’t damage the material of your hot tubs. Most hot tub owners are perplexed in purchasing an ozonator. However, this option can be actually cost-effective and safer. With a hot tub ozonator, you don’t have to keep putting and maintaining chemicals like chlorine and bromine. In addition, an ozonator keeps your tub clean and germ-free. Unlike using chemicals, ozonators aren’t sensitive to temperature and do not cause skin and eye irritation. The most used method to keep your hot tubs germ-free is through chemicals. Bromine or chlorine is the widely used chemical for this. You need a weekly maintenance for chemical use. Always test your water first and see how your chemicals react with certain water temperature. These chemicals are easily available everywhere. Cover lifts are important if you have heavy-duty hot tub covers. You can choose from hydraulic lifters, manual pivot lifters, or shelf removal lifters. 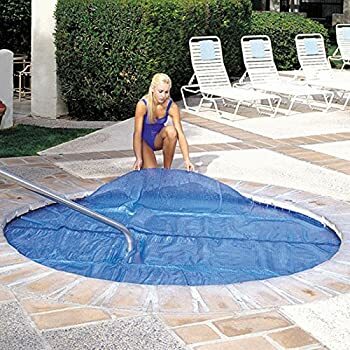 These cover lifters provide comfort and hassle-free use of your hot tubs. Hot tub covers can be very heavy and without lifters, this can be very difficult to remove every use. With the combined fun and wet environment around hot tubs, securing everyone’s safety is a must. Slip and slides are common accidents in and around hot tubs that everyone should avoid. 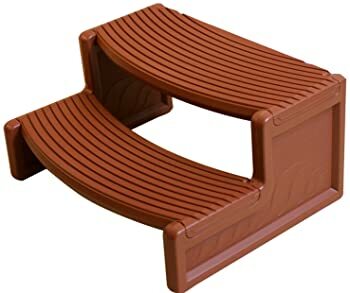 It is your best choice to invest in anti-slip steps. Premium stainless steel anti-slip steps do not only protect you from accidents but also spare you from rust. Steps that easily rust can degenerate fast and may break during use. 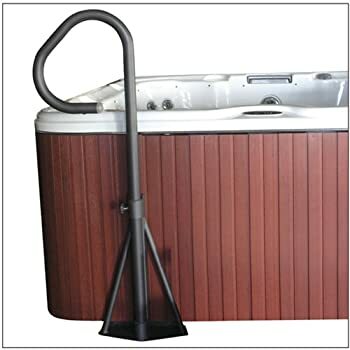 Some hot tubs, when purchased, are not equipped with rails. These rails can reduce accidents by providing additional and proper support. Instead of placing your weight on the edges of the tub, use rails instead. The edges can be slippery and may cause unwanted accidents for both adults and children. 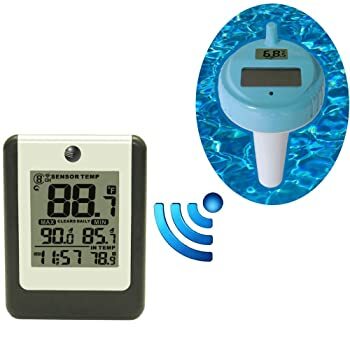 This accessory is important since it can monitor how hot or warm your hot tub actually is. For some people that are temperature sensitive, this can save lives and prevent accidents or health complains. If hot tub thermometers are not present around you, you can always opt for spa thermometers. If your hot tub happens to be situated in an area without a shade, hot tub umbrellas are useful for you. You don’t want to add more heat from the sun as you lounge and relax. Also, it protects you from possible rain or snow if you absolutely want to soak during the cold days. If you have more bucks to spare, make your hot tub experience fabulous. Luxurious and useful accessories are available for hot tubs to make them stand out. Although it may cost a lot, these accessories put the fun in functional. 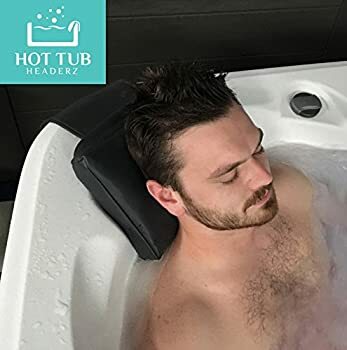 A hot tub blanket looks like a floating hot tub cover. Despite being detached and just afloat, it provides many benefits. It slows down heat evaporation which saves more electricity and money for you. Combining hot tub blankets with covers can provide more heat protection. This is highly beneficial for areas with more cold and snowy days. Hot tub pillows are essential but can be a costly addition. Others don’t deem this as necessary, but if ultimate relaxation is what you need, then invest in hot tub pillows. It provides you with a proper resting place without compromising your posture which can lead to health problems. However, these pillows may easily degenerate over time due to water and heat exposure, causing it to crack and soften. 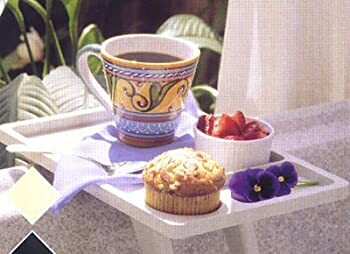 If you enjoy lounging in hot tubs while sipping on juice, wine, or smoothies, cut off the hassle with cup holders. You don’t have to keep standing up and getting out of the tub to get a drink. 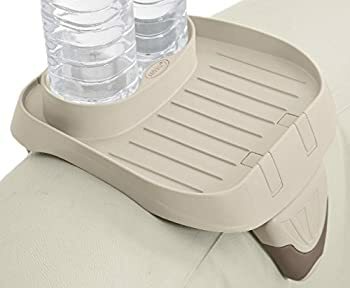 Just place them in cup holders and your drinks are safe. If you’re big on eco-friendly energy, solar hot tubs are your option. You can buy a readily made solar panel hot tubs or configure your current tub together with solar panels. 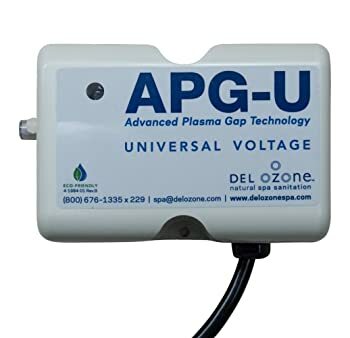 This can absolutely save money by reducing your electricity and/or gas bills. To make your hot tub look like 5-star spas, investing on high-quality decks is a good option. Aside from the aesthetic value it gives, it can make your hot tubs safer by reducing slips and making it ground level. You don’t have to climb up just to submerge in the tub. Instead, you can just walk on the deck like it’s a swimming pool. If you want your hot tubs looking extravagant, adding a gazebo is great. It will make your hot tub IG-worthy and luxurious and will provide a more cozy feeling. It also offers an intimate scene for lovers and couples. By adding a gazebo, you can ditch basic hot tub umbrellas. 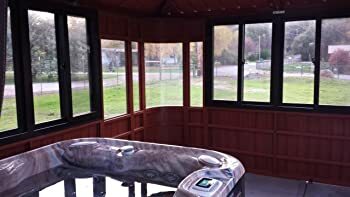 If a more private scene is what you need, you can invest in hot tub enclosures. These look like mini houses for your hot tub, which you can highly customize according to your need. Without the tub being exposed directly to nature, your hot tub is protected and safe as well. Heat evaporation is lessened with enclosures too. Some hot tub patrons use it for health benefits. Most people suffering from arthritis, migraines, diabetics, and insomniacs, benefit largely from hydrotherapy. You can always add herbal essences and oils to your spa water to help you relax even more. If you are going for one, make sure to choose an ozonator over chemicals for water maintenance to avoid contamination and health issues. For people with skin conditions and arthritis, adding medicinal salt, like Epsom salt, can enhance your spa experience. Although traditionally done with normal bathtubs, upgrading this experience with your hot tubs can provide relaxation and better health benefits. Listen to relaxing music while soaking in your hot tubs. You can always upgrade or modify your hot tubs to be zero-noise. However, you can also benefit from waterproof earmuffs, waterproof Bluetooth earphones, or even waterproof earplugs. All these help you create a scene of serenity and peace. Asides from hot tub accessories to spruce up your tubs, you can also purchase separate but useful tools. These may range from cleaning tools to convenient additions, but all these are guaranteed helpful. These storage cabinets should be water and weatherproof. Some storage cabinets can be built together with hot tub enclosures, gazebos, and decks. However, if you wish to purchase a separate one, durability should be your biggest concern. You can store your guests’ towels, clothes, slippers, and other important items here without the worry of potential water damage. Keep your chemicals away from the hot tub where children might see them or accidental spillage may happen. Store your chemicals away from the sun as well by storing them in weatherproof containers or cabinets. Keep them where they are accessible to you since weekly maintenance is needed for chemicals. Cleaning tools like nets, vacuum, and brushes are important to keep nearby. Scoop out unwanted leaves from the surface or vacuum up gunk from the spa seats. 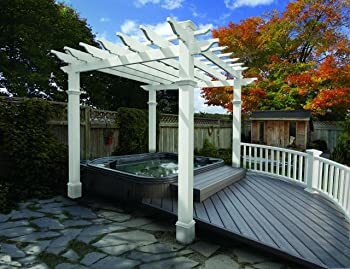 If investing in decks and gazebos are too much for you, make sure to have a sturdy spa side table instead. 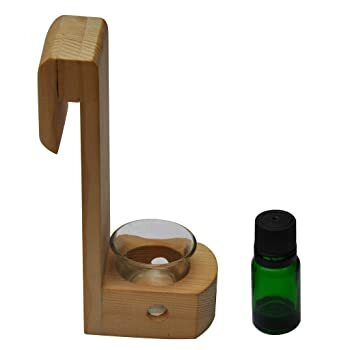 This helps in keeping things close during a spa session or a hot tub party. You don’t need to travel back and forth to the house to get your important things. 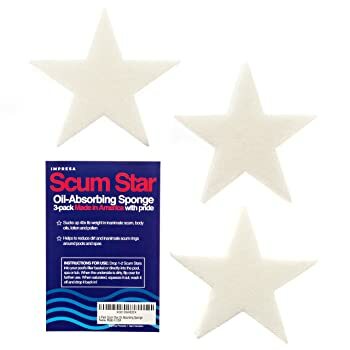 If you frequently have essential oils, lotion, or even food oils stuck on your tubs, oil absorbing sponges come in handy. Since oil and water don’t mix, keeping excess oils idle can create unwanted gunk. There are many ways to upgrade your spa experience depending on your budget. If you want to spend on essentials, make sure to get the important accessories that provide cleanliness and safety. But if you can splurge more, up your game with high-quality and high-end luxury accessories.